Our DIY Puerto Princesa and El Nido, Palawan for 5 days on a humble budget. 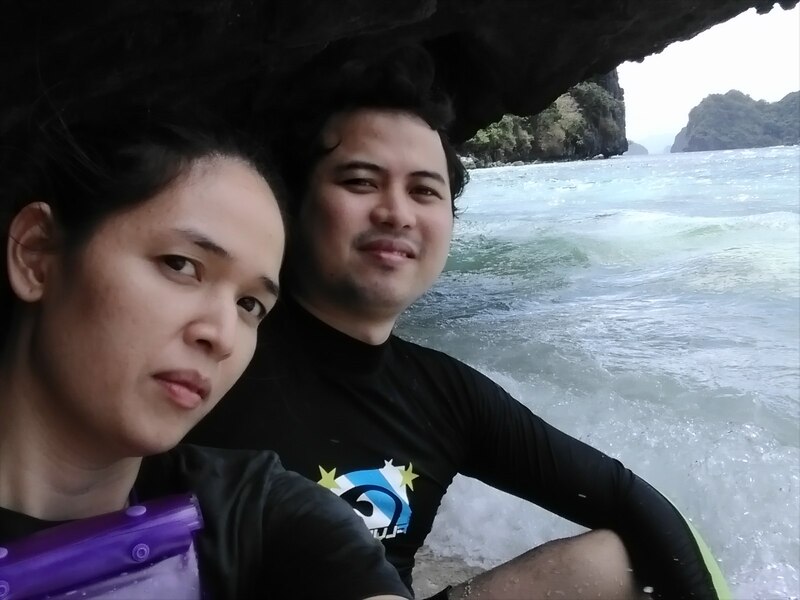 During our trip to Palawan, I posted a picture in Facebook of me and my wife enjoying the beauty of Shimisu Island. Then a friend of mine (real friend, not just an FB friend) commented “Big Time” to which I replied “Di naman pre, budgeted lang. Sardinas nga lang kinain namin kahapon eh lol” (No dude, we’re on a budget. We even only ate sardines yesterday). Well, I can’t blame him for saying that we are “Big Time” since we are in a very beautiful place known to be visited only by those who have the “moolah”. And since I am the “Travel Debugger”, let’s try to debunk the stereotype in this post that El Nido (and Palawan for that matter) is only for the high rollers. My wife and I committed with a budget of P25000 (for the two of us) without sacrificing much of our comfort and our addiction to good food. I very much advice you folks that you just DIY your travel to Palawan instead of booking your tour in a Travel Agency. For me, it’s cheaper, more flexible and sometimes, even easier. I have never booked a tour in a Travel Agency before because doing your own Itinerary is much more fun than being fed to you in a golden spoon. It’s very easy to DIY your tour in Palawan. Just do a little research and read some Blogs (like mine ;P) and you’re good. 7PM – Arrive in Tay Miloy’s Inn in El Nido. Sleep. 8AM – Early Checkin Ricgem Hotel. 7PM – Arrive in PPC. Check in Aniceto Pension House. 8PM – Dinner in Balinsasayaw restaurant. You can also check a sample itinerary in my post here. We booked our roundtrip tickets for two in Cebu Pacific Air for P7053.68 (P3526.84 each) all in. It’s a little expensive than the usual since we booked it just a month before our trip. Reason is, this trip is something we didn’t plan months in advance. I was thinking of somewhere to go on our 2nd Wedding Anniversary on March and I swear I didn’t thought of going out of town. What I just want back then was like a simple restaurant dinner or a road trip to Tagaytay. But then I thought about we should do something out of the ordinary or just go somewhere we have never been to in our anniversary. Then, frack it, let’s go on a trip out of town. It’s been 7 months since our last trip anyway (July 2014 in Vietnam was our last trip). The Van transfer from Puerto Princesa to Sabang was part of our payment in our Underground River tour. More information regarding the tours later. We initially planned to take the RoRo Bus to El Nido at night as I have read that sometimes the Van is too tight, crowded and does not have much legroom. Plus, if we ride the bus, I can stand from time to time to stretch. But since our tour guide in the Underground River tour told us the tour will be finished at around 1PM, we decided to go ahead to El Nido from Salvacion earlier than we were supposed to (Salvacion is the junction to those going to Sabang or El Nido). I contacted Tay Miloy’s Inn to book us one night plus he offered a Van transfer from Salvacion for 500 each. It’s a good deal and we left Salvacion at around 3PM and arrived in El Nido at 7PM. That’s just 4 hours! Thanks to our speed demon driver. And oh, the comfort level in the Van was just ok. We were still able to stretch our legs a bit. 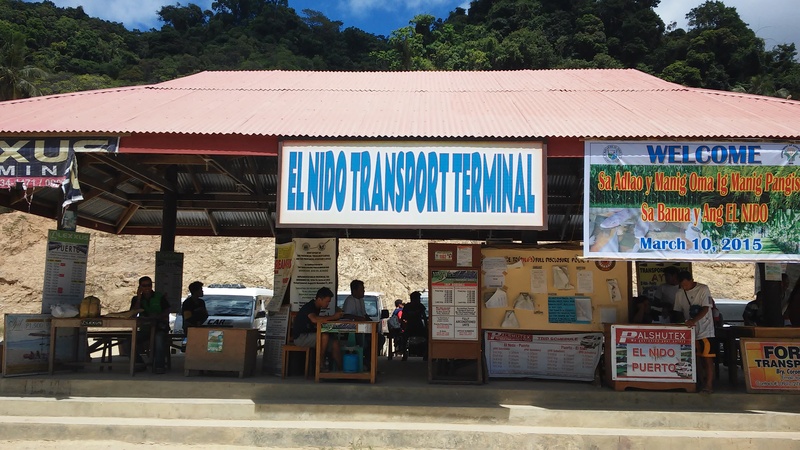 A tricycle ride from the market terminal to El Nido town proper will cost you P50. So if you are 4 in a group, you can share the fare and pay much cheaper. Don’t bother riding a tricycle going around the El Nido town proper since it’s small. You can just walk around from one point to another. Plus, it’s good exercise. You can also rent a motorbike or a mountain bike when you are in El Nido and go somewhere else if you crave for more adventure. I just didn’t take note of how much though since we didn’t avail it. 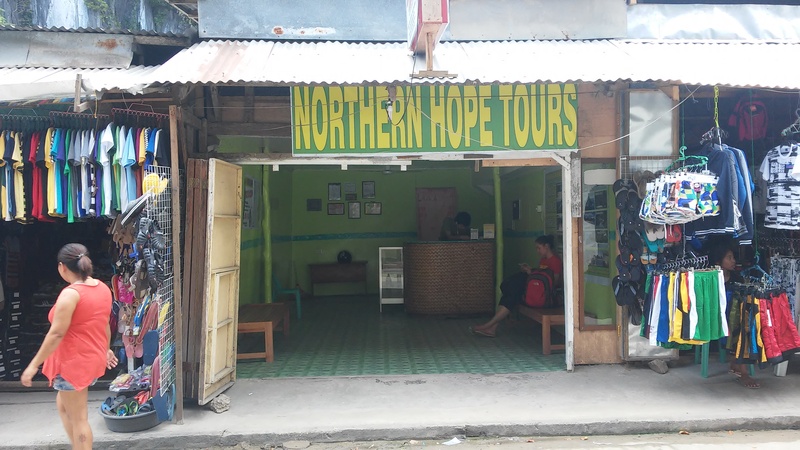 Northern Hope tours offered us van transfer from El Nido to Puerto Princesa for 500 each. I don’t know if that’s their rate for everybody or just because we booked all our tours with them. The going rate for Van transfers, as some say is around 700 to 800 per person but I think you can haggle or try to get it from the tours/hotel you booked in since they can give you a discounted price. A short distance tricycle in Puerto Princesa cost us P10 per ride (P20 for 2 pax). If a tricycle is charging you more than that, then they are being greedy and are ripping you off just because you’re “tourists”. You can also ride a multi-cab to your desired destination. From Puerto Princesa proper to Mitra Road, our fare is P15 each. I guess the minimum fare is the same in Manila, I’m just not sure. We managed to DIY tour the city for P80 each. More on that on the Tours section. For our DIY Puerto Princesa Half day City Tour, click here! For our first night in El Nido, we booked a fan room in Tay Miloy’s Inn for P500. We just needed a place to crash that night and luckily there is an available room for us even if we didn’t reserve days before. We just booked the room the same day. For the succeeding nights in El Nido, we booked Ricgem Hotel a month in advance for 2550 for 2 nights for a standard room with a/c and own restroom but no T.V. (You don’t need one anyways right?). Clean room, quiet neighborhood and just a few minutes walk to the beach where the boats for island hopping are docked. Great service and friendly staffs as well. I very much recommend Ricgem Place and reviewed about our stay here. TIP: If you’re thinking of booking a beachfront hotel in El Nido for a higher price, you may want to think twice. A beachfront hotel is nice but is not a must in El Nido since it is not advisable to swim in the town proper’s seashore anyways. They dock their boats there and it smells of gasoline. For our last night in Palawan, we booked a fan room in Aniceto’s Pension in Puerto Princesa for P550. Just like in Tay Miloy’s, we just need a place to crash so don’t expect anything fancy. We booked our Underground River tour and Island tours with Northern Hope tours based in El Nido. For the Underground River tour, we paid a total of P1400 each which is inclusive of buffet lunch (home cooked meals), air-conditioned van transfer, permit, environmental fee, boat transfers, paddle boat tour and a licensed tour guide. 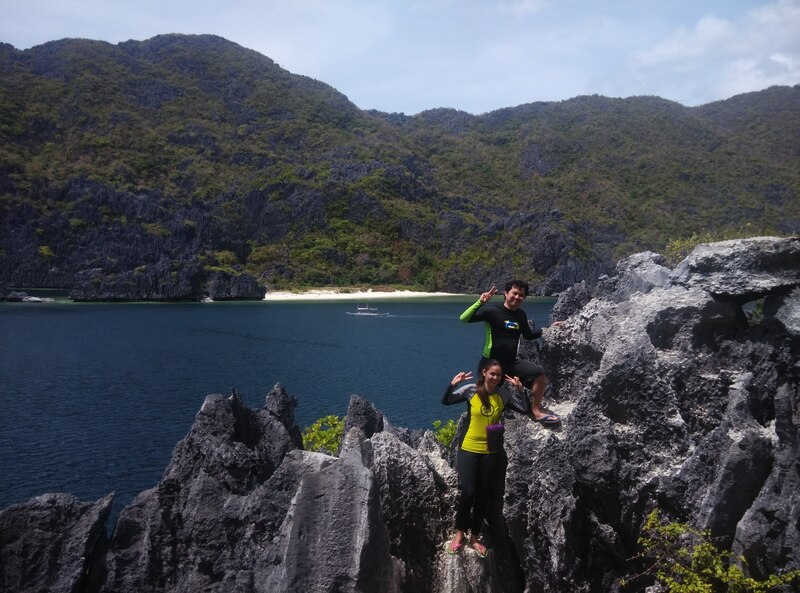 For the El Nido Island tours, they offered us Tour A and Tour C which we happily agreed on. We paid P1000 for each tour per person plus P200 each for ETDF (Eco Tourism Development Fee). The Island tours are inclusive of a sumptuous lunch, snorkeling gear, life vest and tour guide. On our last tour (Tour C), we gave a P100 tip to one of the tour guides (Kuya Bong) since he is very kind and assisted us especially my wife because she can’t swim very well. TIP: They will offer you to rent a kayak in the Small Lagoon for P300 for 30 minutes. I think this is not worth it since you can rent a Kayak for P500 in the town proper for a whole day! You can even take the kayak in the tour boat and use it everytime you visit an Island or lagoon. For the city tour in Puerto Princesa, you can hire a tricycle to take you around the tourist spots for P600. 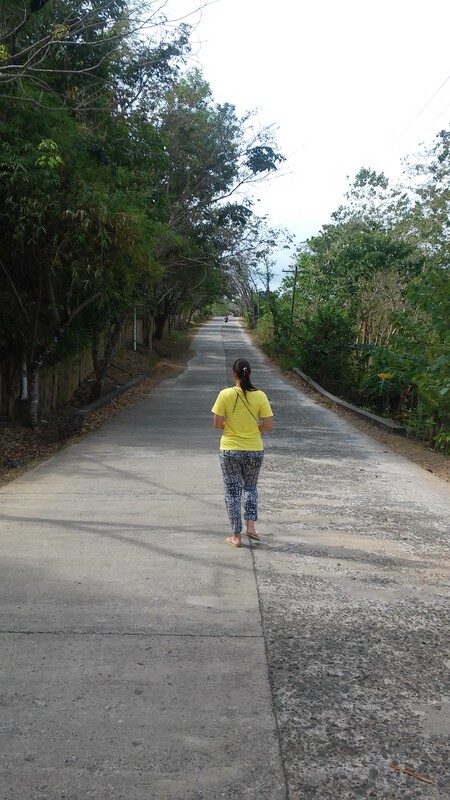 But in our case, since we just would like to visit 4 places (Immaculate Conception cathedral, Plaza Cuartel, Mitra’s ranch and Baker’s hill), we opted not to hire a trike but just commute from one place to another. This is very doable and much cheaper. We just spent P80 each for our customized City tour and it really wasn’t tiring. PS: You can walk from Mitra’s Ranch going to Baker’s Hill. Also, there are tricycles waiting in Baker’s hill, so don’t worry about the scarcity of transportation when you want to go back to the highway. If you want convenience on transportation, you can book a tour here in Klook. We brought canned goods (sardines), bread, junk foods and mamon baked by my wife for those times that we just need to fill up our empty stomachs. We ate dinner twice in El Nido with just a can of sardines and steamed rice bought from the Hotel/Inn we are staying at for P15. The price of mineral water ranges from P20 to P30. This is the cheapest way to go if you are very tight on budget. Just bring your own food and buy rice/water and you’re solve. Puerto Princesa and El Nido have lots of carinderias, eateries and street stalls to satisfy those empty stomachs in a cheap price. In Puerto Princesa, again, we ate at a Chao Long eatery called Bona’s Chao Long. You see, I love Vietnamese food (check my post here) and I would like to try if the dishes here are at par with what is served in Vietnam. We ordered one beef noodles (P65), a French bread with chicken spread (P35) and one softdrink (P20) for a total of P120. As opposed to the Chao Long eatery in El Nido, this one has good service and better noodles in terms of taste and serving. Let’s admit it, when we travel, we really like to go on a splurge sometimes or when we have remaining budget, we like to spend that money on something fancy. And food is one of the things we like to spend that on. At Squidos with the newly weds! 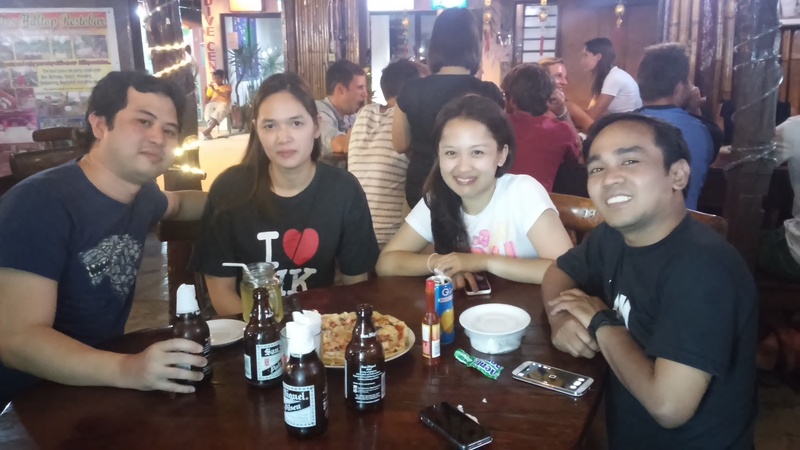 Then the night after, my wife and I went to Pukka bar to enjoy some beer (P50), fries and Reggae for a total damage of P470. I love music and I can’t let it pass not to see local acts in a place called “Heaven on Earth”. 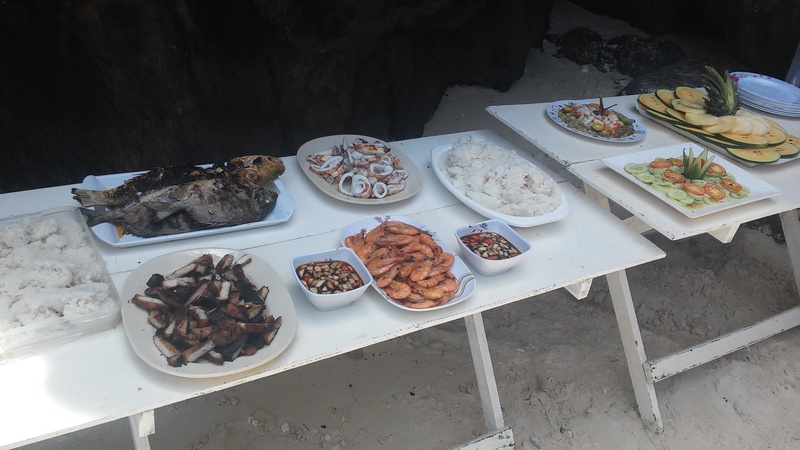 For the Island tours, Northern Hope tours prepared a sumptuous lunch for our grumbling stomachs. Nothing beats fresh seafood eaten at the beach. For our last day in El Nido, we ate breakfast at the Art Café for a change. We were supposed to have breakfast in The Alternative but it was temporarily closed so we opted for the Art Café instead. Total damage was P350 for a Tomato Omelet meal and Fried Eggs and ham. Other touristy expenses include 2 halo-halos in the 7 Commandos beach for P100 each and a Selecta cornetto ice cream for P50 in the Helicopter beach. Don’t blame us, it’s hot out there. In Puerto Princesa, we would at least like to try some dishes in one of the famous restaurant there. We chose the restaurant that’s near our hotel and that is Balinsasayaw restaurant. We ordered the Balinsasayaw express (P175), Shrimp with green peas (P175), Pineapple rice (P110) and a Green Mango shake (P69) for a total of P529. Well the main dishes were good but the Pineapple rice is not that good. It was gooey and very far behind what we had in Thailand or even in local restos in Manila. To summarize, please see below the breakdown of all our expenses on our trip to Puerto Princesa and El Nido. I will just itemize the expenses for one pax for clarity. PS: I did not include the cost of our “baon”. Items are posted per individual, meaning the total cost was divided by 2. I only highlighted the cost for the major eateries, the rest are all consolidated in the “Others” item. For a grand total of *** drumroll *** P11,533.505 per pax (P23067.01 for 2 pax)! Not bad for 5 days trip to Puerto Princesa and El Nido. It’s not cheap but it’s not that expensive also. What increased the total is the airfare and food. For the airfare, of course, you should get tickets as cheap as possible. For food, you can eat like a pauper or a local and forget eating like a tourist. I’m ok with the price of our accommodation in Ricgem though because for me it’s very reasonable since the place was nice and comfortable. With that being said, you can imagine that it can be very much cheaper if you will just bring your own food, eat little or eat cheaper and book a cheaper flight with a budget airline. Much cheaper if you will book a fan room all throughout your stay. So guys, don’t be afraid of going to Paradise because of the cost. I tell you, it’s all worth it. hello po! magkano po tour guide jan papunta sa mountain ng matinloc island? The trip to Matinloc Island is included in Tour C that we availed in Northern Hope Tours for P1000 per pax. before you head to el nido, you had underground river tour. where did you leave ur things while having a tour? another question poh is sa nothern hope tours din poh b ung underground river tour? Yes we availed the Underground River tour with Northern Hope Tours. We just left our things in their tour van but we brought important things with us like money and gadgets. HTH. thanks poh..so before going to palawan i should contact northern hope tours to make reservations for the tour for the underground river and to el nido tours? Hi po. Thanks for this helpful blog. Where can I contact Tay Miloy’s Inn so I can get a reservation po. Nice name, thanks for visiting! I’m just not sure if those numbers are still working since we went to Palawan a year ago. Better confirm by calling. HTH. Wow, that’s great! Glad you like our IT! Hmm, just follow the tour guide’s instructions and rules. Always wear your life vest and be warned of sea urchins in the shaded areas in the Lagoons. I got stung by one of those. Also be prepared for the long travel from Puerto Princesa to El Nido. Bring plastic just in case one of your kids would want to vomit. I checked Ricgem place and they have family rooms. Not sure with Aniceto’s Inn and Tay Miloy’s. Those two are super budget accommodations that I wouldn’t recommend to a family. HTH. Ooh, 1800 to 2k is fine for a room good for 5. As long as you guys, especially the kids are comfortable. upon arrival sa PP ,deretso na sa tour according to blog..so dala nyo po lahat ng gamit nyo sa tour sa underground river? ?